Vintage House offers a broad range of advocacy programs, health care and educational services, art, leisure and recreation classes, activities, as well as workshops and forums for seniors and advocates. Most programs are offered at low or no cost. The Vintage House Senior Center is located at 264 First Street East in Sonoma California. To learn more, visit Vintage House. 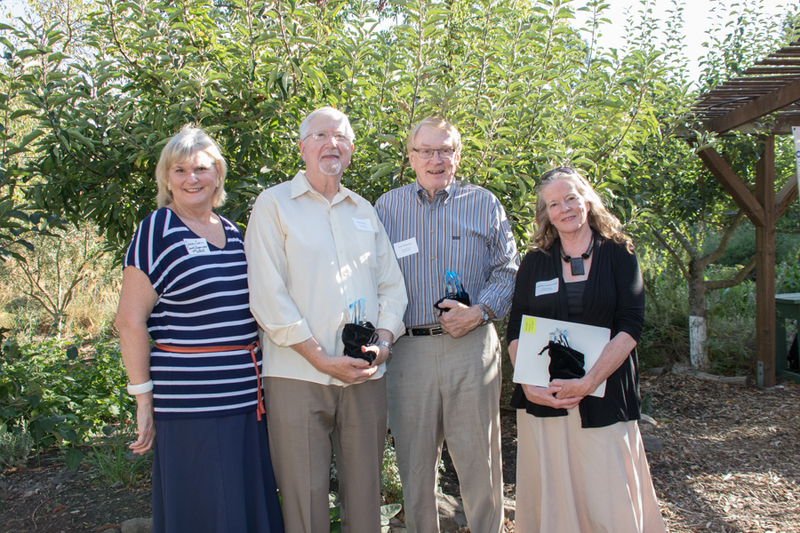 Vintage House's Executive Director Cynthia Scarborough (far right) and Supervisor Susan Gorin (far left) presented the Star Award to Marcie Waldron (not shown), Bill O’Neal (2nd from left), and Eric Peterson (2nd from the right). Together these three tireless volunteers are helping Vintage House increase its relevancy in the face of a burgeoning senior demographic, ultimately to the benefit of our entire community. Marcie had the vision and committed the means to evaluate and improve Vintage House's marketing efforts. Bill brought his marketing skills to focus groups to assess the interests and needs of the multiple generations of seniors served, and guided the organization through the creation of a new logo. Eric fine-tuned the new branding image and tag line, and is creating a series of new videos to help tell the Vintage House story. Vintage House is deeply indebted to all three of them!